You know who would love to help with chores? Your dog! I have learned over the years, having step children now; that kids really don’t like to help out unless there is something in it for them. Offer your kids $100 to do a chore and see how fast it gets done, but ask them or tell them to do something and you’d think they were going to die. I was probably similar as a child, but chores and helping out around the house was expected when I was a kid. I never got paid for chores or got an allowance, I was always told that living in my parent’s house and having a room, bed, food and clothes was my allowance and payment. I also got a real job when I was 13 and have pretty much been working ever since! I think both of those things gave me good ethics when it comes to working and how hard I work. I have always been a hard worker. 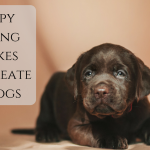 I believe chores are good for kids and teach them how to take care of themselves and responsibility, but this isn’t as much a kid blog as it is a dog blog. Actually, sometimes I think dogs live for anything and everything!!!! This zealousness for life is just one of the many reasons I love dogs! Dogs like interacting with us; and if we can teach them to do it respectfully and calmly while giving them a job we are all better off for it. Have you ever seen a dog that looks forward to retirement or vacation? All of the working dogs that I have ever met have never wanted to retire, some of them even mourn severely when their working days are over and they are no longer able to go to work. It’s sad when working dogs retire. Dogs need training to be good companions. Dogs don’t speak our language, they don’t understand our rules, and if they are not given structure and training they would not raise themselves with the structure, obedience, or values that we would. It is natural for dogs to steal food, pull on leash, and do things we consider naughty like dig. 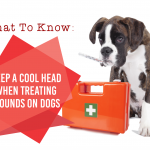 Training is essential to teach our dogs what we want in a companion or a working dog. In my opinion, dogs need a job to be happy. I think the reason that working dogs are so happy is because they feel like they have a place and a job. Working dogs feel needed and they have structure and a schedule. Dogs like having structure and a schedule. Dogs know when it’s dinner time, dogs know when it’s time to get up in the morning, dogs know when it’s time for you to get home from work; they have a natural body clock. My dogs even know to sleep in on the weekend and who gets up to let them out during the week vs. the weekend. Dogs area trained to help us in all kinds of venues, but one thing remains the same; the jobs they do for us require training. Training and Structure give dogs happiness and keep us happy as well; it is a win, win situation! Want Your Dog to Bring you Money? My dogs retrieve, and I like asking them to pick things up for me. It keeps me from having to bend over and it gives them something to do and makes them feel needed. My dogs like it soooo much in fact that they wander the house in the morning looking for things that the cats have knocked onto the floor at night. I got a quarter spit in my lap this morning! I am hoping for bigger bills some day! Retrieving also leads to asking them to hand me the dirty laundry when I do it, and also handing me their toys that they have left out. I can even get them to take their toys to their toy box and put them in there. 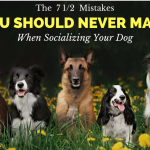 I even just make them “stay” on their bed or their “place” for more on place training and why click here for a half hour or more. This also helps my dog to listen to me and again makes him feel like he has a job. Working dogs spend hours at a time in down/stays while their owners are working at their jobs, going to school, or even at home. 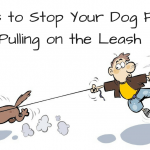 This also gives you great control in real life when you need a reliable stay command! 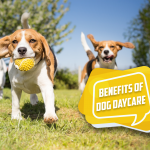 It really doesn’t matter what you teach your dog, whether it be basic obedience, advanced obedience, tricks or games as long as your dog is getting trained and he feels like he has a job and a place in your life you will both be better off! It’s great to read an article on cultivating good behaviour from your dog rather than focussing on the negatives of bad behaviour issues. I raise Seeing Eye puppies in training. I also own a Golden Retriever who is my therapy dog, he also visits the seniors in their home, visits the library where children read to him, and he will be visiting our Wounded Heroes. This lesson will be very important for me to teach to Mark. Thank you Janice Young, Author of “Puppy Eyes Guide The Blind”. I have a 5 yr old Shihtsu, I will be going in a Senior’s Retirement home in the spring, I’m 80 years old. Coco loves everybody, he learnt the basic command like Sit, Stay, Come, Rollover & a few more. What do they teach to be a therapy dog, would that be good for Coco living with a bunch of Seniors. 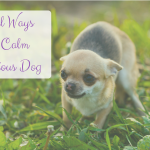 Small dogs are allowed as long as they are very well behaved. There will be a place giving a course for Therapy dogs in the spring, I don’t know where yet but will find out where. What do they teach at a therapy dog class. Thank you in advance. Each class is different as are the requirements for certification dependent on which organization is doing the certification. 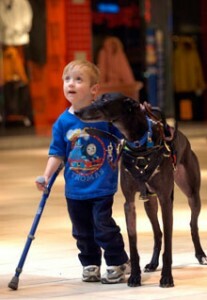 The most important thing is to have a calm, and obedient dog that is good with everyone and petting etc. I used to have a border collie. At night I would say “Gather up” and she would run around the house picking up all her toys and putting them in her box. My current dog, however, is a Basenji, considered the second hardest dog to train. Sigh. We have a tree farm in the Great Northwest. Having thousands of trees, it makes sense that we would heat our house and studio using wood-burning stoves. We always have piles of split firewood out alongside the trails. The dogs are always ready for a romp in the woods. Rosie, our 10-year old Golden Retriever ALWAYS brings home a stick of firewood – usually 4″ – 6″ diameter or equivalent size split piece. She has done this since age 6 months or so – as soon as she could carry something bigger than a twig. Lena, our Golden/Bassett mix sometimes also brings home wood – or steals her big sister’s load. They also ‘steal’ firewood from our neighbors’ wood piles – when we walk over to visit a neighbor. That seems to be what my now 3yr old Neo seems to be saying when he gets to do jobs around the place. Neos are known for their stubborness…difficult to train to be obedient, difficult to convince that YOU are the Alpha…both the Neos I’ve had have been like this BUT, give a Neo a job to do and he’s as happy as a pig in mud and eager to please…so the obedience becomes…another fun job. I’m no dog trainer, in fact I prefer cats and cats just love me but I need a good guard…and a helper. My Jupiter is an adult dog now and a very BIG one. We’ve had our arguments about who’s the Boss and whose bone it is, but its all very clear now…the Boss is the one who invents all the fun things to do! Its all of a sudden become easy living with a stubborn dog now that everything is fun…and what an inventive clever clown he is…he adds bits to the jobs…his little bits, and looks at me for approval. This dog is just a big kid who loves chores and I’m so glad that finally I’ve found out who he is…took a while but now we’ve got it. You are so right Minette…dogs love chores! I won’t go on about all the chores he does and invents…nothing worse than a soppy dog owner bragging, but I’d just like to reiterate that this is the best thing about dogs…they LOVE chores. Just one little brag…my big boy brings in the wood for the fire…one smaller piece at a time which he stacks, and now he has a cart which he stacks then puts his head and shoulders in the harness and brings to the back deck…we do the unstacking together. I’m 70 and never thought I’d have so much….productive and helpful fun with a dog! He’s a changed boy! So anyone out there with a big stubborn dog…don’t agonise…give him chores and have an obedient happy big reliable helper and friend! Hey cool thing but what are the steps? You shouldn’t treat your dog your servant or your slave… they can learn those things to help people w/o are are not able to do things… I work with service dogs… those tips should be for the professionals not everyone to know… if you need a service dog go through a company..
That is ridiculous and selfish, why pay when people are capable of training their dogs to help them around the house. 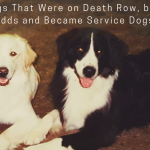 I have over 20 years in the Service Dog industry and people are capable of teaching their dogs skills and working dogs are happy dogs, not slaves. How can you say you train Service Dogs but having a pet do the same is making him your servant? My servants follow me around just excited about the fact that they can help me do things!! I have a 17 month old GSD service dog and I am appalled at your comments that you replied to the person asking for the steps to teach their dog. Are you merely attempting to protect your secrets so to speak so you can just make money? true trainers share their knowledge so that our wonderful animals companions do not suffer from their owners lack of knowledge understanding or frustration. 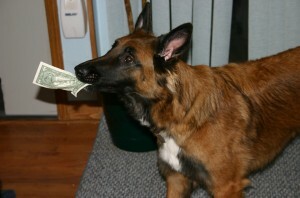 Brielle check out YouTube you will find a lot of dog trainers and Methods use your common sense weeding through them. If you cannot afford a private trainer’s classes many will answer your questions and give you pointers if you simply contact them. 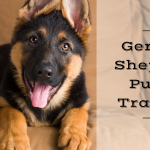 where I live there are even very knowledgeable trainers at stores like Petsmart who are happy to share their knowledge and insight, give you tips and if you need assistance with training they are much less expensive then some of these private trainers if they even are. 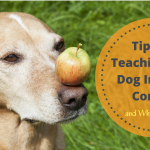 Tip: look up clicker training small training treats. 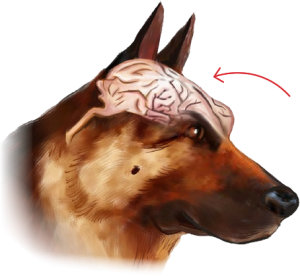 Think of it almost as show and tell be patient very clear and used to learn the clicker at the exact moment that your dogs light bulb goes off so to speak. I don’t know what breed you are attempting to train but some are easier than others. good luck I hope you have many good times teaching him or her even the smallest of chores or tricks. I have a little female (part Pomerainium, part Chiwauwa) who is 5 months old. I try to get her to fetch things but she rarely settles down enough to follow any commands. (Very hyper and always nipping). She will fetch a small tennis ball and bring it back, however only 4-5 times before she loses interest. I’m also doing the potty training….she goes outside to potty, but then returns and does it on the carpet. She has pee pads in strageic areas, but manages to “miss” them 4 out of 5 times. When she is successful, I praise her and give a small treat. Am I doing something wrong? Do you have any other suggestions? you can search my articles for potty training help there is a search bar on the right side 1/4 of the way down the page. I have an 8 year old terrier mix female that loves to help my husband in and out of our apartment when he has a gig. She helps him out of the house and we watch his stuff while he gets or parks the car. She would be very disappointed if we did not do this – she obviously believes that this is part of her job and she loves it! Minette. I have a question regarding Basset hounds are they trainable? Bob completely ignores anything I say unless I hold a treat out, he is nine months and has good hearing but chooses as to whether to take notice or not HELP.I hear that they have selective hearing. And thank you for your service. I have the ultimate respect for our police and K9 partners! My brother is also a LEO so I have deep adoration for all that you do and did do for your community! Hi! Our 17 week old English golden is a delight on any given day. 😉 She is really quick to learn new things, but I’m having trouble leash training her. She has “progressed” from being timid about walking to enthusiastically pulling really hard. I’m afraid it’s hurting her neck. Do you suggest a harness or a gentle leader at this stage? I’ve seen your videos and it looks too easy to be true! I have a 2-1/2 year old English Black Lab and one of his chores is to take out the trash. I got him doing this way before knowing anything about how to train a dog ( still don’t ) but am learning a lot about it. Thanks to Chet and Minette and reading blogs. Not to mention buying 3 different courses.